It’s prompting nostalgic retro-flashbacks to the 80′s, all this hype for the upcoming film Tron: Legacy – a sequel to the classic cult sci-fi adventure from 1982 Tron. But the new face of Tron presented by 21st century technology and special effects has the fan-base in a tizzy. It’s having a similar effect as the recent reboot of Batman had; and perhaps it’s not unconnected that the same marketing team behind Batman’s Why So Serious campaign is heading up Tron’s Flynn Lives campaign. Last year at the San Diego Comic-Convention, a very successful live event (with online components) was the platform for the public revelation of a life-size ‘Light-cycle’ and the first public teaser trailer from the film (watch the official video recap here!). 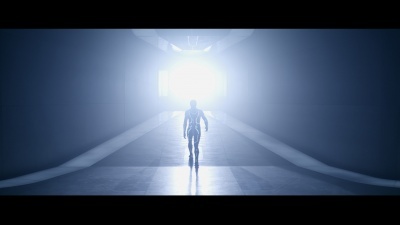 This event opened the door for fans to start following FlynnLives.com – hoping, wishing, and praying that whatever happens between then and the movie’s release would also award them with some sweet Tron swag! If the Comic-Con event was any indicator, Tron fans would be in for a wild ride over the next year. Sure enough, in early February 2010 I, along with other people all over the globe began receiving small packages in the mail containing a palm-sized “Bit” as seen in the original Tron, with a hand-written phrase written on the inside lid of the box reading “/zerohour“. From this, the website FlynnLives.com/ZeroHour was discovered with a binary-coded countdown to 11am EST, February 24th – Zero Hour. The Tron community erupted with theories, as over the next few days a mysterious message was slowly revealed below. A list of cities appeared, located within the United States, Canada, France, UK, and Australia – but there were no instructions accompanying them. An email was distributed just before “Zero hour” hit reminding people to watch their nearest city. Right on schedule, three cities first lit up linked with instructions to meet a contact at a specific time and place in each city. What happened was a feeding frenzy of F5′s and website refreshes for the next 9 hours as all 27 cities lit up three at a time. At the drop points, the first person to arrive and say the code phrase to the waiting contact (and only the first person!) would be given a cell phone by which they were instructed to locate a deaddrop containing exclusive Tron collectible swag – as well as codes to be entered online. At this point, FlynnLives.com allowed anyone to create a profile, including contact information. This implied potential phone calls, text messages, even physical mail to be distributed in coming months. Once signed up and connecting the profile to a facebook account, players discovered they could earn achievement badges – bragging rights. Additionally, those lucky enough to be the first to each ZeroHour location and enter at least one of the discovered codes online also received a special achievement, and their name listed as one of 66 special operatives. At the end of this ZeroHour event, players online and offline were rewarded with a new desktop background, and instructions to visit PitCell.com at 4:00pm EST the next day — to be the first to register for an exclusive, limited IMAX screening in one of five listed cities: Los Angeles, New York, Toronto, London, and Sydney. Of what the screening is – still a mystery. The next day, when this second zero hour hit, once again the refresh-frenzy began. Word had spread over the course of the day through mainstream media, and people worldwide were waiting in anticipation for the moment the (FREE!) ticket registration for this IMAX event would open. In an unbelievable record (where is Guinness to confirm?) The Los Angeles IMAX event was flagged SOLD OUT in under one minute. New York quickly followed suit about 5 minutes later. Toronto and London were next in short order, and Sydney selling out closed the deal. A leading theory at this point is that individuals who grabbed a ticket in time (which is good for two people) will have access to view a special IMAX 3D scene from Tron, much like the 6 minute prologue scene for Batman: The Dark Knight. But details about the Tron screening as of this writing are still up in the air. That’s not the end of it, however. After the updates, more was discovered online. Additional mysteries and strange codes, a hidden discussion forum with reference to Encom International, and what appears to be a deeper story still to be unraveled. With tron: Legacy not slated for release until December 17th, 2010, this hype campaign is sure to kick up a notch or few in upcoming months, and those who miss out on this IMAX event shouldn’t fret about missing out entirely. Sign up for a profile, and watch for any opportunity to get in this game! One thing to keep in mind is that this kind of catering to a market fanbase is best and most successful when free, and only as good and enjoyable as the fans, players, and community make it.